With a sharp paring knife, cut off the stem of the figs, and make a cross cut at the top of each, about an inch deep. Gently nudge the figs open a bit with your fingers. Set the figs in a small saute pan and add the crushed cardamom pods, 1/4 cup water, and 1 Tbsp brandy. (The water should be about 1/4 inch high in the pan) Bring to a simmer and simmer the figs for about 5 minutes, constantly basting the figs with the liquid. 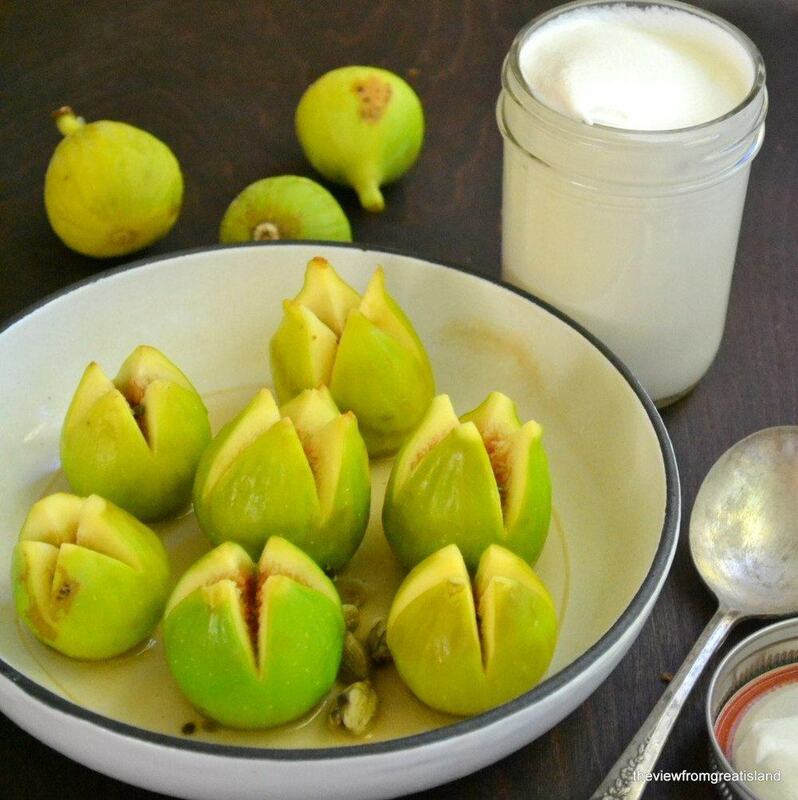 Make sure you spoon the poaching liquid down over the open figs. Remove the figs to a shallow bowl or plate. Whip the cream with the sugar and vanilla. The easiest way to do this is to put it all in a clean jar, screw the lid on tightly, and shake vigorously for a couple of minutes. When you hear the 'sloshing' noise stop, it's whipped. Pry open the figs a bit with your fingers and spoon a dollop of whipped cream into each one. Sprinkle lightly with cardamom.